The 1 Spadina Crescent circular site was designed as a garden feature for the Baldwin family, who owned the Spadina park lot that extended from Queen Street West to Bloor. 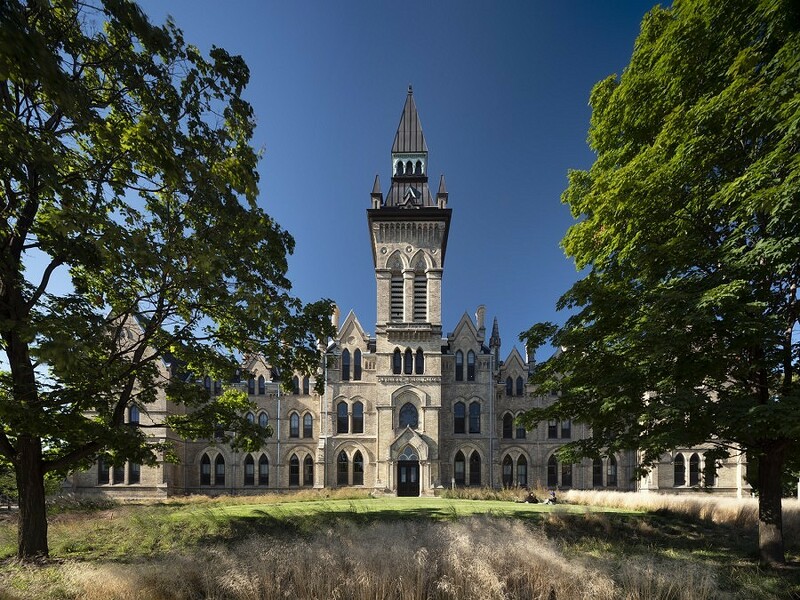 In the 1870s, the Presbyterian Church bought the land and commissioned architects Smith & Gemmell to build Knox College. 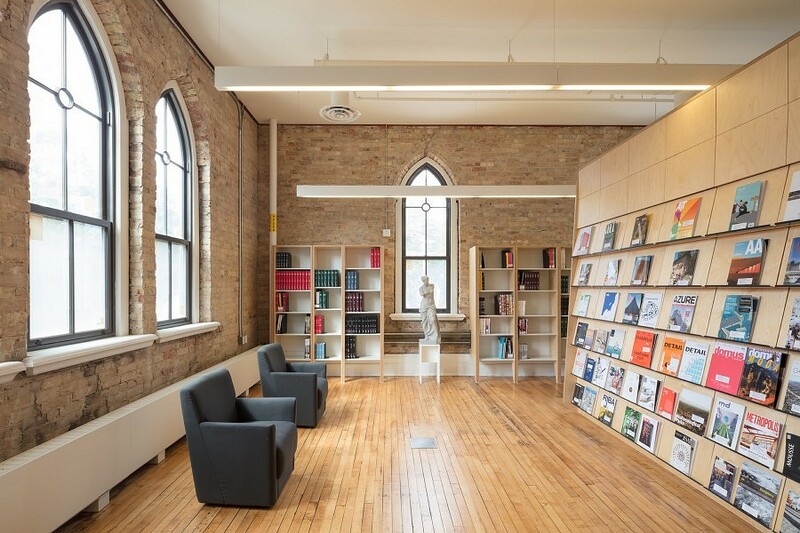 Having been adapted over the years to a number of different uses, the structure survives today as a fine example of Gothic Revival architecture, and a significant landmark in downtown Toronto. 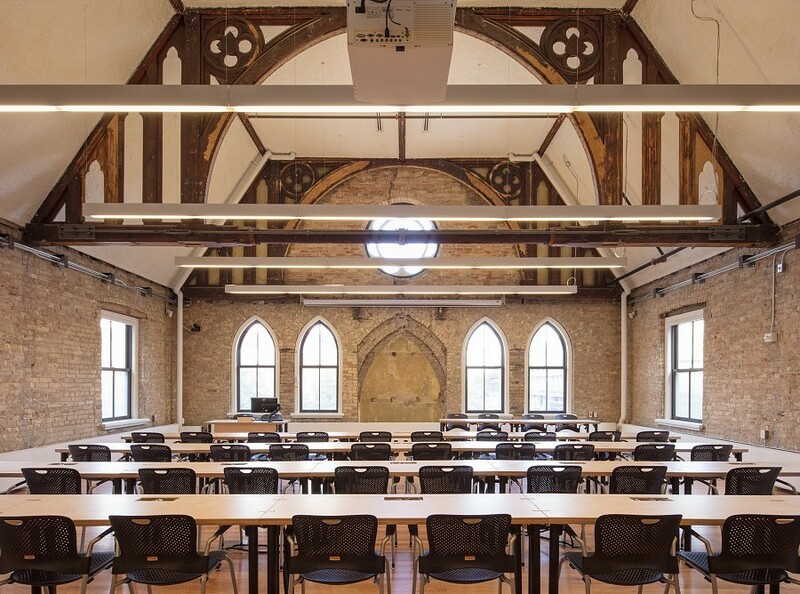 For a number of years, ERA worked with the University of Toronto and advised on heritage issues related to the site’s re-development. Since 2011 ERA had been working closely with prime architects, NADAAA, on the Daniels Faculty of Architecture Landscape and Design (DFALD) project. Phase 1 of the project included the conservation of the exterior and Phase II was a new addition to the historic building. 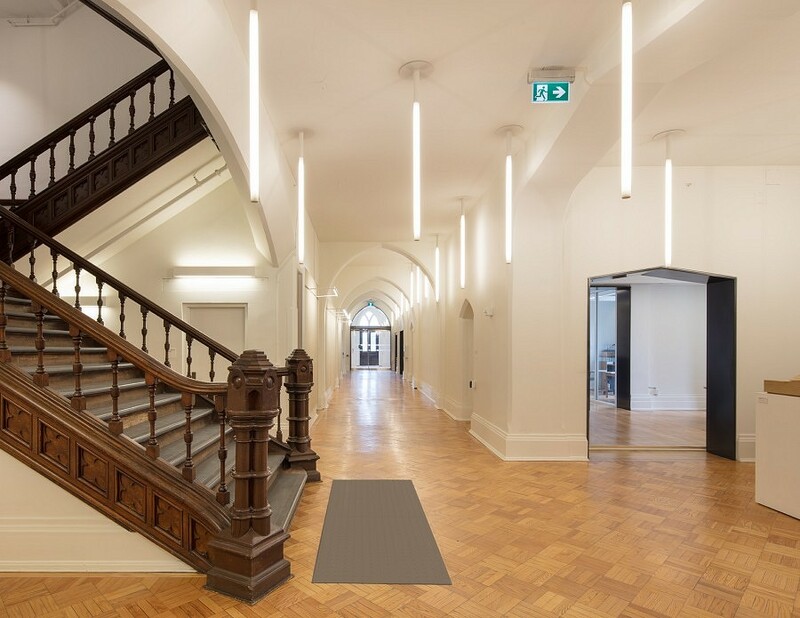 As heritage consultant, ERA prepared the Heritage Impact Assessment, Conservation Strategy and Conservation Plan, and provision of heritage architecture services related to the conservation scope of work (exterior and interior) through out all phases of the project.